“In the quest to replace fossil fuels, scientists are always on the lookout for alternative, environmentally friendly sources of energy. But who could have imagined a bionic mushroom that produces electricity? 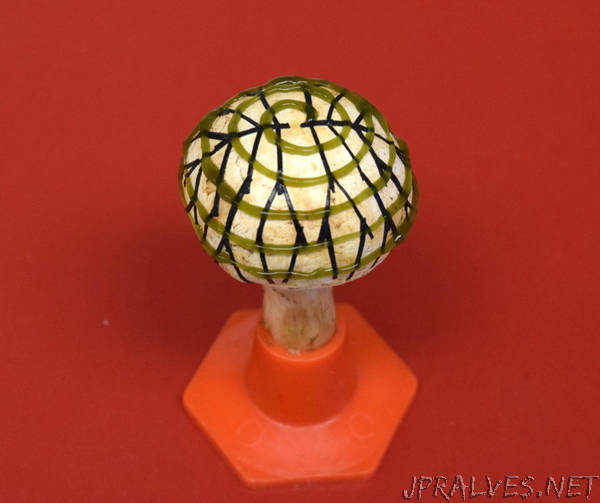 It sounds like something straight out of Alice in Wonderland, but researchers have now generated mushrooms patterned with energy-producing bacteria and an electrode network. They report their results in the ACS journalNano Letters.